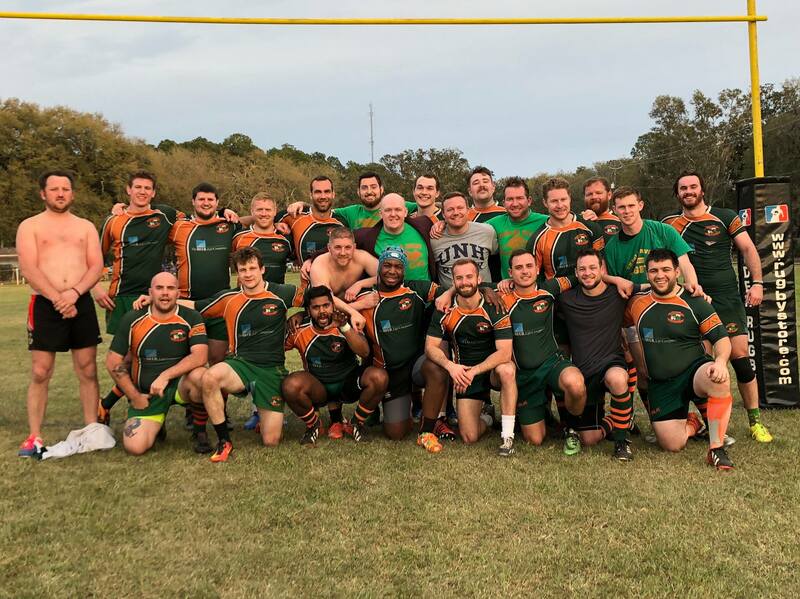 The Charles River men traveled to Savannah, Ga., for the 2018 St. Patrick’s Day Rugby Tournament and returned with some hardware after turning in one of the club’s best tour performances in recent memory. The Rats, who locked up a NERFU playoff spot in November, did not surrender a single point during pool play in Savannah, blanking West Potomac RFC and South Buffalo RFC on Day 1 by a combined score of 71-0. The day began with a 28-0 victory over West Potomac that included a hat trick by fullback Colman Mulkerrin, who also slotted all four of his conversions. The four-hour break that followed did not drain the Rats’ enthusiasm, as they pummeled South Buffalo 43-0 to secure a spot in the Men’s Social final. The following morning, short-staffed thanks to several early flights home and feeling the effects of a long night at Tree House, the River boys gave a fully stocked Division 2 Hartford squad a challenge before ultimately falling 22-3 to finish in second place. Mulkerrin provided the lone points with a first-half penalty. Charles River’s official spring schedule began March 31 with a friendly against Mystic River D2, followed by another exhibition against Amoskeag on April 7 at Moakley Park.